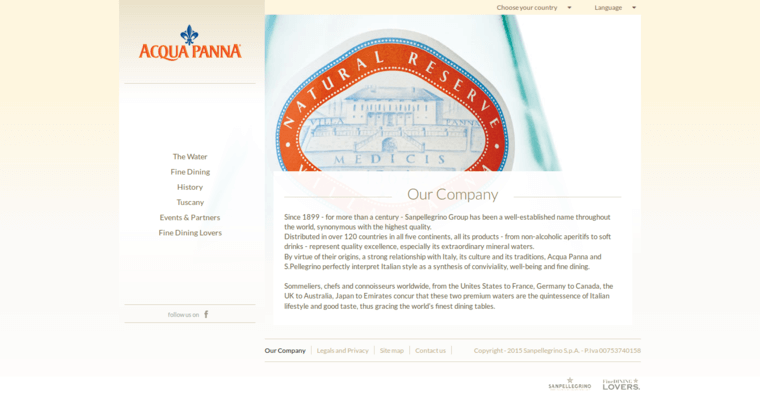 Acqua Panna is considered one of the world's premium water brands. It is bottled in the Tuscany region of Italy, a few kilometers north of Florence. Tuscany is known all over the world for it's rich food and wine contributions. 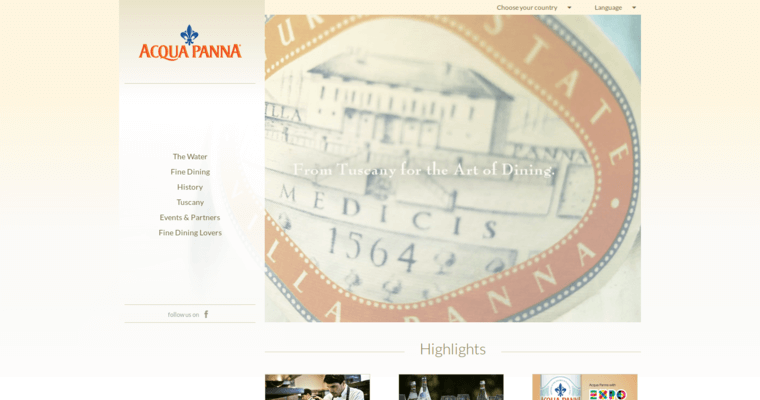 Acqua Panna is another product of Tuscany that is renowned for it's delicious taste and light aroma. The Acqua Panna reserve is where the springs are located and are the source water for Acqua Panna water. They safeguard the springs and the entire nature reserve to protect not only the purity of the water but also the land and wildlife that lives there. 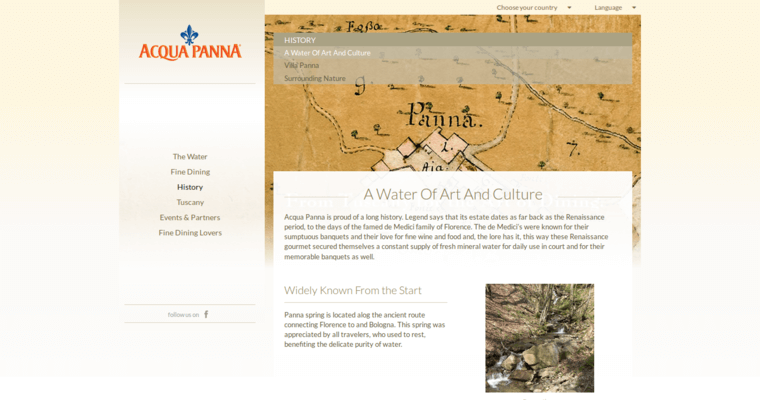 Acqua Panna mineral water is captured at the springs and is bottled unaltered which preserves the unique mineral balance and crisp clean taste. They have a highly sophisticated system of quality controls that include 8 steps to ensure the water stays as pure as possible.